Can Guinea Pigs Drink Camomile Tea? Chamomile tea is an herbal infusion made from dried chamomile flowers and hot water. Two types of chamomile used: German chamomile and Roman chamomile. There aren’t many things that guinea pigs can drink, in fact, they are pretty limited as to what they can usually drink. Unfortunately, camomile tea isn’t on that list. This because they can’t drink anything that has caffeine in it. So any kind of tea is out for guinea pigs. If they do happen to drink some of it, they should be fine, but make sure that it isn’t too much. Too much can cause them problems and a trip to the vets. 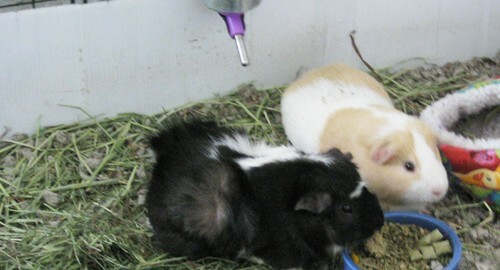 Instead, feed them fresh water so that they get the refreshment that they need without getting harmed in the process. For more food and drink that guinea pigs can and can’t have, check out our guinea pig food list.